When buying a water heater, getting one that's the right size is critically important. If it's too small, it won't meet the hot water needs of the household, and someone will be taking cold showers in the morning. Oversized heaters, however, heat water needlessly, and operate very inefficiently. Take the time to get your water heater sizing down right to help your home operate more efficiently, saving on energy costs and taking a load off the environment. The first thing to know when determining what size water heater you need is that different types of water heaters have different sizing recommendations. If you're working with a tankless, solar, or conventional water heater, you'll need to scale up or down on your sizing. Furthermore, the type of fuel makes a difference too. The United States Department of Energy has some detailed recommendations on choosing the right size water heater, but here's a quick overview. If you're installing a solar water heater, you need at least 40 square feet of collector area for a two person household. For every additional person, add 8 square feet (in the sunny south) or 12-14 (in the north). Also remember that you'll need a backup system for those cloudy, snowy days when there's no way the sun will be able to do the job alone. 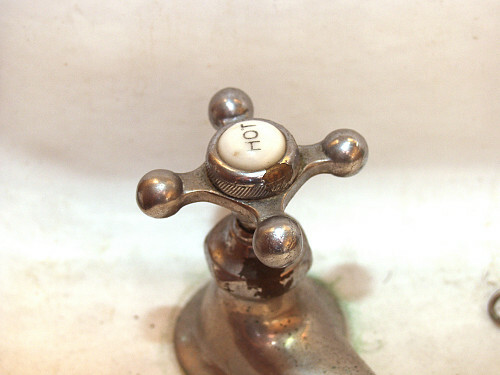 Tankless water heaters, which heat water on demand, depend on flow rates. You need to think about the maximum possible number of appliances (shower, dishwasher, kitchen sink, laundry, etc.) that might draw on the heater and add them together to determine the flow rate. The tank's flow rate must add up to at least that amount. If you think your flow rate is too high, you have two options: install low-flow appliances, which is a good idea for saving water, or consider additional dedicated on-demand heaters for high flow rate uses like laundry. For a tank water heater, the size of the tank depends on both the number of people in the house and the type of fuel used. For example, in a house of three to four people, you'll need a 50 gallon electric water heater or a 40 gallon gas model. For each additional person, plan on adding at least 10 gallons to the tank size. And think ahead: do you have a growing family? A lot of guests? Want to be able to sell your home? Don't get a tank that's too large, but don't back yourself into a corner with a tank that doesn't leave room to grow. You can consult a plumber to get advice on the best option for your home, given the configuration of the household and the plumbing systems. As you think about what size water heater you need, you can also look into various energy efficient options. Water heaters are evaluated by energy certifying organizations that provide information about annual operating costs and energy load so consumers can make informed choices. Remember that sometimes a cost savings on overall operating costs may be balanced out by a higher base cost for the unit. You'll have to think in the long term when selecting a water heater for your house or rental unit.